A 13-minutes long video of Watch Dogs 2 PC gameplay just appeared on NVIDIA’s brand new NGN (NVIDIA Gaming Network) YouTube channel. 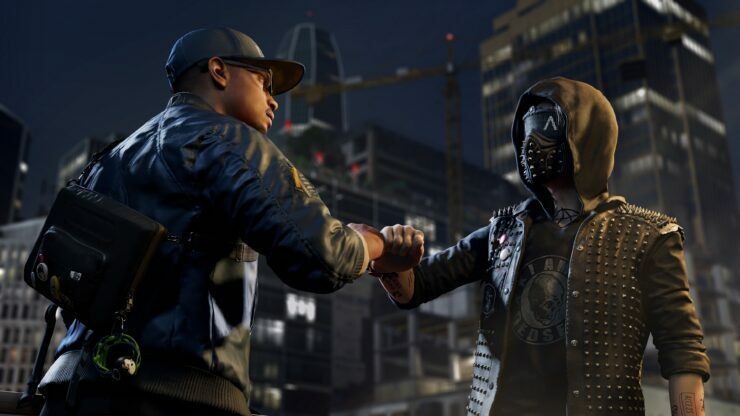 The video is our first real look at Watch Dogs 2 PC gameplay, after yesterday’s brief trailer focused on the GameWorks effects (HBAO+, PCSS, HFTS, TXAA). The description mentions that it was captured on a system featuring a GTX 1080 GPU. Unfortunately, the footage doesn’t provide many other insights into the quality of Watch Dogs 2 PC. We don’t know the settings that were used; what we do know is that the video was captured at 1080P and doesn’t have a 60FPS option, so we’re watching it at 1080P@30FPS, which the GTX 1080 obviously eats for breakfast. • Stuttering/lag framerate optimization – We employed a fix that makes all controls much more responsive and less framerate-related. We’ve optimized resource creation, GPU VRAM upload and required VRAM for the game. • Multiple save file support – This feature allows players to have up to three auto save slots for three separate playthroughs. • Multi-monitor support with borderless mode and advanced settings that allow for customized placement of menu and HUD. • Multiple windowed mode options – Windowed mode with flexible/resizable windows, multi-monitor borderless. • Extra Details Options – Increases the level of detail for all objects in the game, and adds more details to objects in the distance. • Advanced keyboard support – Keyboard hotkeys for every menu and app for faster access. Additionally, all hotkeys can be remapped. • Mouse-centric UI – Any UI screen, menus or smartphone app supports full mouse interaction, so the player can finish any UI task with the mouse only. Everything is clickable and has appropriate button states. • Supported gamepads: Xbox 360 and Xbox One controllers, third-party XInput gamepads (everything Xbox-based), PlayStation 4 Controller. We do not officially support Direct Input gamepads, Steam controllers or game wheels. Watch Dogs 2 PC is out in less than a week, on November 29th, and you can get it for free if you buy a GPU or system with NVIDIA’s GTX 1080/GTX 1070 at participating retailers.